These days, there is growing interest in the use of natural products for health, wellness and beauty in Africa, and a growing audience to learn more about trends and products in the marketplace. 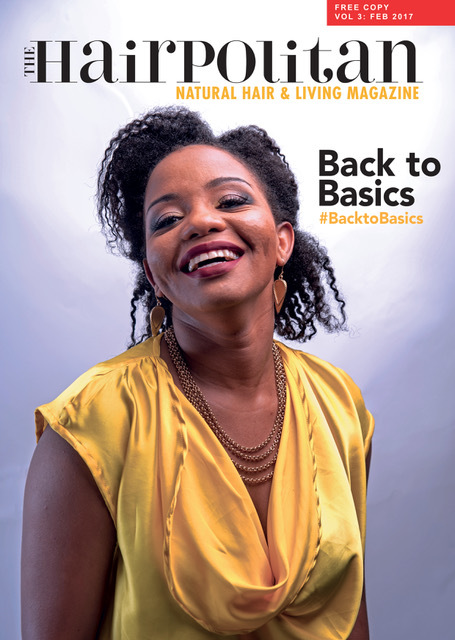 Hairpolitan Lifestyle is an online magazine, created by Kenyan entrepreneur Wambui JL, and aimed at sharing stories about people who are celebrating and living natural lifestyles. LoA chatted to Wambui JL this month to find out more about this growing trend and her new business venture. Hairpolitan Lifestyle curates stories of women and men who are living the natural lifestyle. That is growing their natural hair, using natural products for their hair and skin, eating organic/natural foods, and seeking other methods of wellness for their overall wellbeing. "I created Hairpolitan to tell authentic stories about regular people who were impacting our society through natural living." I had been in the natural hair movement from the onset around 2012, and through the various platforms and events, I met people who were doing great things. But I noticed that our mainstream media was not telling the stories of these awesome people. So I created Hairpolitan to tell authentic stories about regular people who were impacting our society through natural living. People should read Hairpolitan Lifestyle because we share relatable stories of regular human beings. Our weekly web articles share tips, tricks and advice on living the natural life. And our online magazines share stories of women and men in the natural lifestyle space who are doing great things. It's very inspiring. "People should read Hairpolitan Lifestyle because we share relatable stories of regular human beings." My team is mostly made up of myself and consultant writers, designers, make up artists and photographers. I am a child of a female entrepreneur, so sometimes I think that I had no choice but to get into entrepreneurship. I quit employment 6 years ago when my firstborn joined us. Since then I did a few Graphic Design jobs (that's my profession) but in 2016 after joining a creative leadership program, I asked myself how I could employ myself in every capacity and talent that I had. The idea of a magazine made sense because it required laying out (Graphic Design), managing a team of creatives, writing (I've blogged since 2005), editing, interviewing (I love talking to people) and social media. I have been working for Hairpolitan since 2016 when we launched and it's been a very enjoyable experience utilizing all my creative faculties. "I'd like Hairpolitan to be a printed publication in 2018 and, in years to come, for the idea to franchise across Africa." I'd like Hairpolitan to be a printed publication in 2018 and, in years to come, for the idea to franchise across Africa. When someone approaches me to tell me that they follow my work and that it's impacted their lives greatly. Just start with what you have. The rest will come your way.